Today, our Hawaii organ failure attorney Jed Kurzban is going to list the most common symptoms of organ failure that should ring alarm bells. That doesn’t seem like something you would want to be part of, as any internal organ damage can not only leave you temporarily or permanently injured – or even disabled – but also turn into a lifelong medical treatment that will be exhausting your budget and taking a toll on your physical, emotional and mental health (also, you may even require organ transplants, which is a very pricey procedure in Hawaii). Organ failure symptoms: Get checked ASAP! 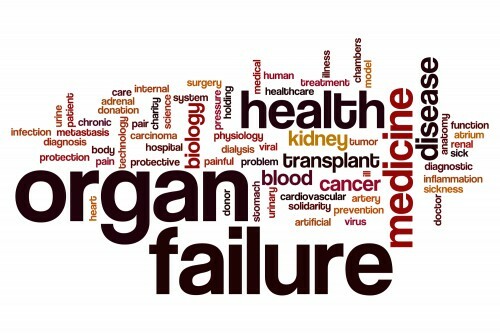 Today, our Hawaii organ failure attorney Jed Kurzban is going to list the most common symptoms of organ failure that should ring alarm bells: you may want to go through a medical checkup in case you notice any of the following (especially if you’ve recently been a victim of a car accident, truck accident, workplace injury, medical malpractice or other accidents). This is a non-exhaustive list of symptoms of organ failure. Don’t let any of these symptoms run their course and lead to catastrophic injury. Prevent organ failure by going through a medical evaluation, and speak to our organ failure attorneys in Hawaii to find out your best course of action to find those responsible for your injuries. In many cases, medical malpractice, negligence, and errors on the part of doctors, physicians, nurses and other healthcare providers is what causes organ failure in unsuspecting Americans. More often than not, organ failure can be prevented with diagnosis and the right treatment. However, negligence on the part of medical professionals, including their failure to diagnose and treat, causes serious harm to hundreds of thousands of Americans every year. Make sure that you’re not one of the Americans who suffer catastrophic injuries as a result of medical error. Speak to our lawyers at Kurzban Kurzban Tetzeli & Pratt P.A. if you notice any of the above-mentioned organ failure symptoms, and we will help you find a qualified doctor to check your health. Contact our medical malpractice attorneys today to get a free consultation. Call our Hawaii offices at 808-800-2445 or fill out this contact form to get legal advice today.